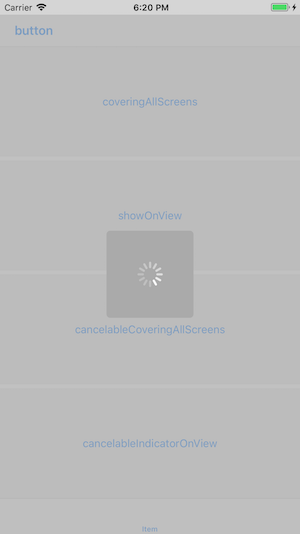 PTDLoadingViewController implements a simple code to inform the user during loading. Simple loading screen. This is a display type that covers all screens. It is conceivable to use it when you do not want the user to do other actions. 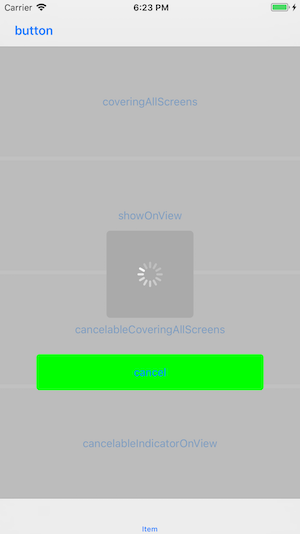 You can also display the loading screen on the specified view. 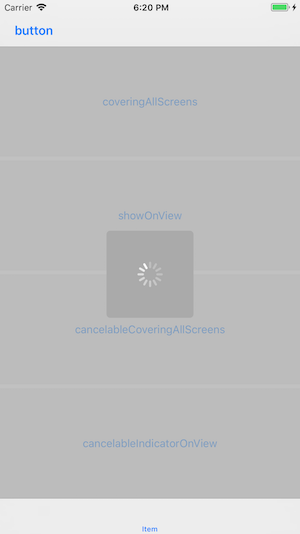 For example, the buttons of UITabBar and UINavigationBar may be used when you want to enable it. Can also add a cancel button to the above two display types and display it. 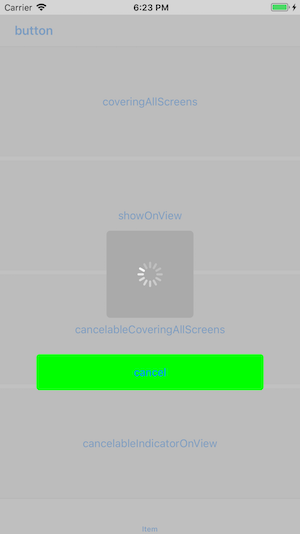 Can detect that you tapped the cancel button with a closure. The display of the cancel button can be customized. // MARK: covering all screens.